What a great idea for a National Day!! I know most of us have home offices, and boy can they start to get a little crowded and overloaded. I love this idea! Not only are you reusing items that just would end up in a landfill, but they are perfect for drawers and you can completely customize them!! 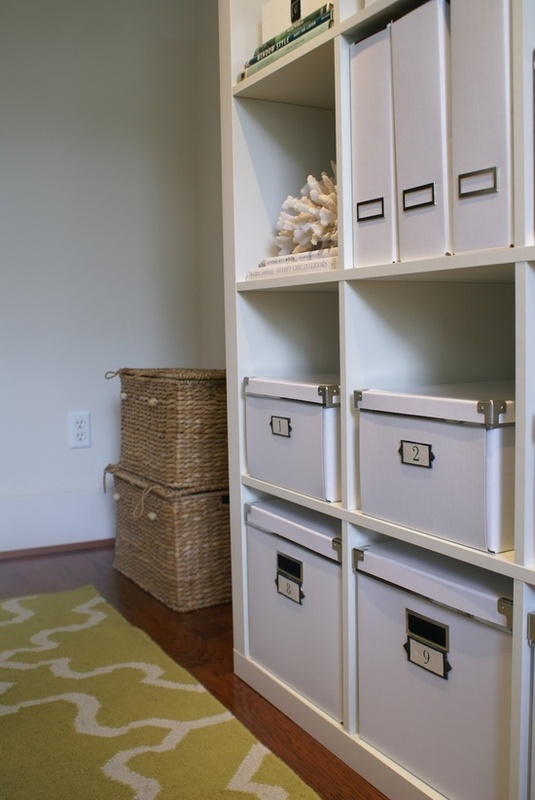 Adding shelving above your desk creates more storage, and might just clear up your floor area so you have more room to work! This is super creative!! Large binder clips can hold alot! Notes, design inspiration, due date reminders, or anything you want! 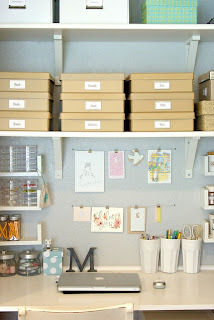 Grab some spray paint or washi tape and create a whole new look! I am a big fan of reusing items. I love the way these look!! 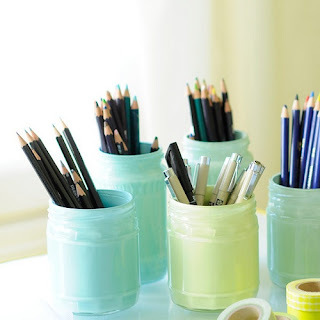 Paint the inside of glass salsa jars, coffee drink bottles, or even paint the outside of soup cans. 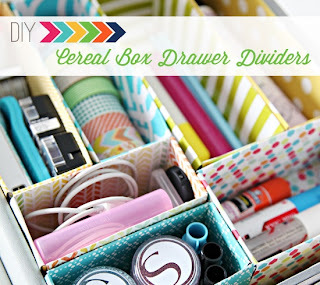 They hold so much stuff, and its a great way to separate and organize items that get lost in those junk drawers! If you want to keep things more uniform and hidden, grab some of these boxes. You can find them in many stores, and just a few folds and you have a variety of storage boxes. I love that they come with front labels too! 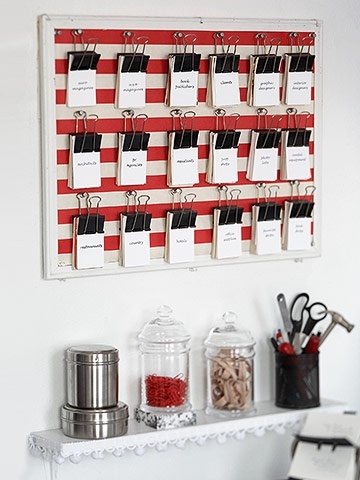 Have fun organizing your home office. Come back and share your stories!